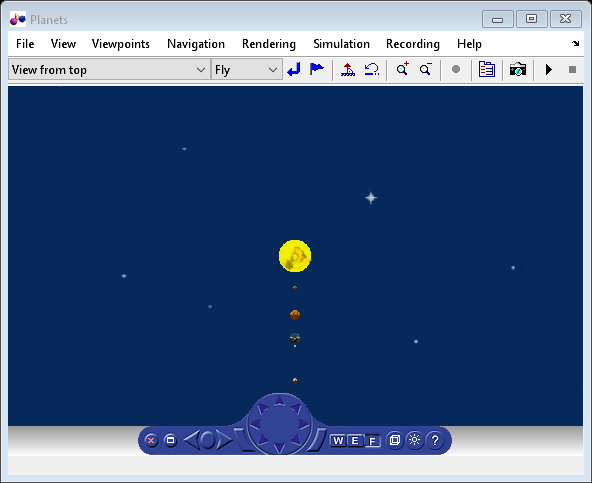 The vrplanets example shows the dynamic visualization of the first 4 planets of the Solar system, Moon orbiting around Earth and Sun rotating itself. The model uses the real properties of the spatial bodies. Only the relative planet sizes and the distance between the Earth and the Moon are adjusted to provide an interesting view. There are several viewpoints defined in the virtual scene - both static and attached to an observer on Earth. You can see that the planet bodies are not visualized as perfect spheres. This model was simplified by using the VRML Sphere graphic primitive which is rendered this way. If we wanted to make the planets more realistic, we could use the more complex IndexedFaceSet node type. 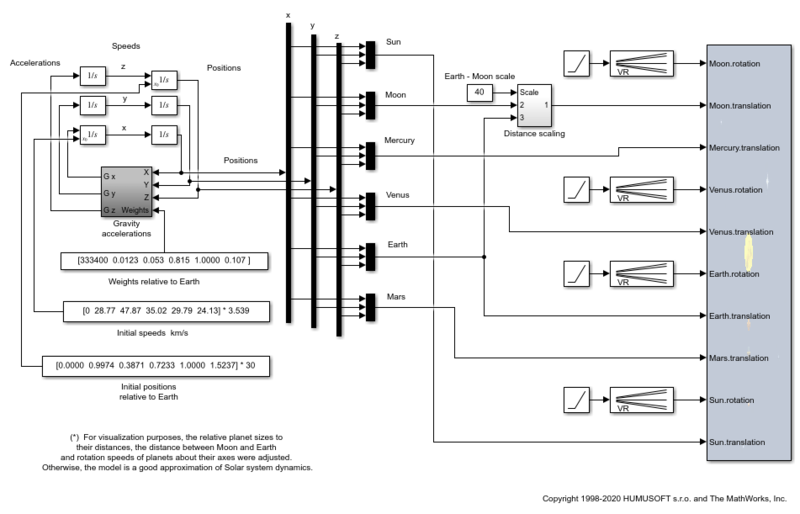 Mutual gravity accelerations of the bodies are computed using Simulink® matrix-type.